In the realm of automotive repair, a car owner’s life was equally uncomplicated. Truth be told, back in the day the “auto repair business” was hardly a business at all. Pretty much any resourceful handyman, bicycle mechanic, machinist, plumber, or blacksmith could fix or fabricate parts for a damaged car. Imagine it is the year 1958. You’re cheerfully tooling around town, showing off your brand new, cherry-red Ford Thunderbird, Ricky Nelson’s “Poor Little Fool” blaring from the AM radio—when out of the blue some jerk runs a stop sign and rams into the side of your precious possession. No one gets hurt, but now you’ve got a big ugly dent in the passenger-side door, along with myriad unsightly gashes in the paint job. You’re heartbroken. What do you do now? 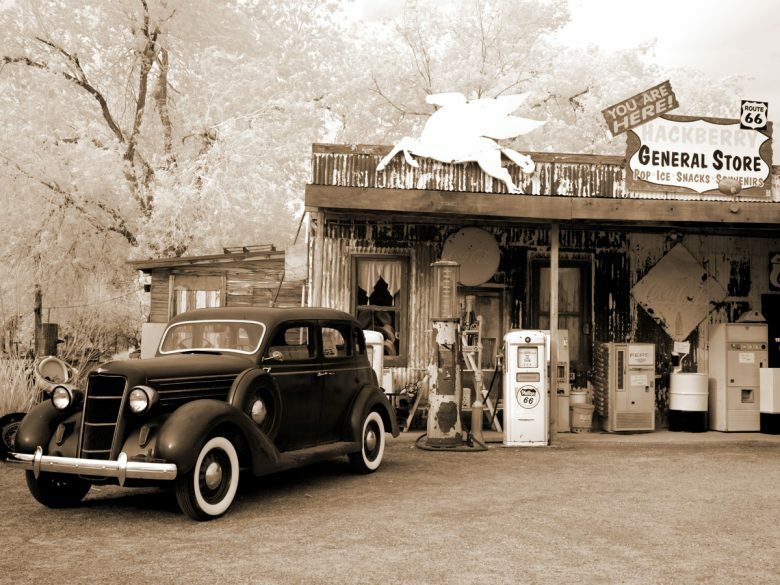 If you’re smart, you hightail it down to Earl’s Garage, which doubles as the town’s only gas station and general store. You went to high school with Earl, and you remember he was always good with his hands. Better yet, he learned the art and science of car repair from his father, who learned it from his father before him. “Earl is a mechanical genius,” you tell yourself; “he can fix anything.” And sure enough, he does. After all, steel is steel, whatever the make and model of your car—no specialization required. With just few swipes of his hammer and some strategically applied layers of closely matching red paint that Earl happens to have lying around the garage, he returns your Thunderbird, looking good as new. Almost…. Fast-forward 60 years. 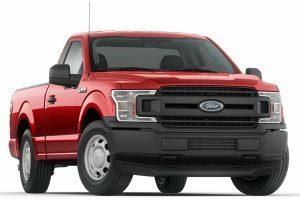 You’re tooling around town in your brand new, cherry-red Ford F-150, Ariana Grande’s “No Tears Left to Cry” blaring from the XM radio—and the same damn thing happens. Except this time, when you bring your damaged truck to the town garage (now run by Earl, Jr.), he just scratches his head in befuddlement. He has no idea how to fix this. He’d be completely lost if he even tried; and you’d leave in your mashed-up truck, crushed as a mayfly on a windshield in mid-August. Under the hood and in the dashboard, the situation became just as complex, if not more so, with the introduction of on-board computers, hybrid fuel systems, and state-of-the-art built-in diagnostic and calibration tools. To make matters even more difficult, all these materials and manufacturing methods differ, often radically, from one make and model to the next. While the basic skill set required of an auto mechanic today remains roughly the same—that’s where the “art” part comes in—the “science” part now requires a level of exquisite training far above anything that can be learned at the knee of one’s dad. And we do mean science; indeed, a modern-day car mechanic is now properly referred to as an “automobile repair technician.” But where does one go to receive such training? Merely being “good with your hands” is no longer enough. The growing complexity and sophistication of today’s cars and trucks has made the Automobile Repair Technician one of the world’s most difficult-to-master trades. It requires not just native skill and years of experience, but more importantly, advanced knowledge and formal training in materials, procedures, and diagnostics. To research, develop, and deliver quality technical educational programs related to collision repair; to raise the level of available knowledge and recognize professional achievement; thereby improving communication throughout the Collision Repair, Insurance, and related Industries for the ultimate benefit of the consumer. Based on the level of training achieved, I-CAR awards certifications for both individual technicians and auto collision repair shops. Individuals who have completed the highest levels of I-CAR training are designated Platinum-certified; and to maintain that status, they must take continuing education courses to stay current with the latest repair techniques and safety procedures. To receive Gold Class certification, a body shop must employ at least four such Platinum-certified technicians. In addition, it must provision those technicians with authorized OEM replacements parts and finishes for specific makes and models, along with providing in their repair bay specialized tools (e.g., aluminum body repair tent or clean room, spot welding equipment, etc.) to ensure the job is done right. Nowadays, if your car or truck is damaged, you need to be sure you find a shop that is equipped to fix it the way the manufacturer designed the vehicle in the first place. That’s why an auto body repair shop like Keri Coach Works proudly displays the I-CAR logo in our window: our facility is geared up with a highly trained team of technicians and the most up-to-date equipment needed to fix our customers’ vehicles, from the smallest scratch, ding, or dent to major collision damage. Still waiting for the fabled “Car of Tomorrow”? Newsflash: it is already here. 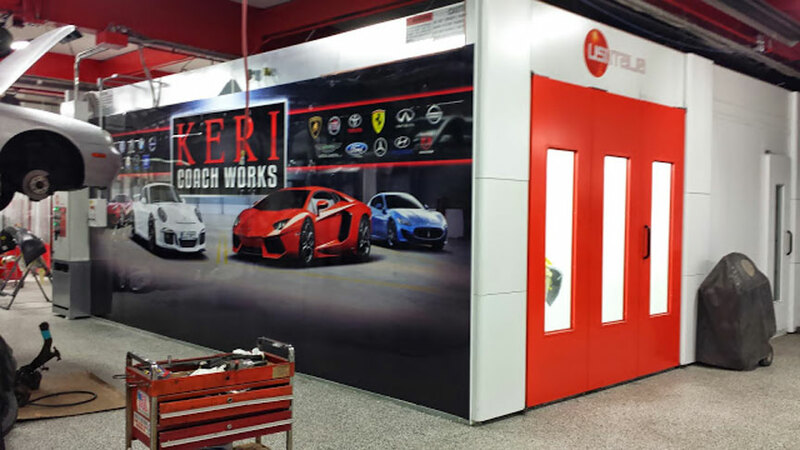 Whether it’s a Tesla Model S or a Ford F-150 (and many others besides), you can rely on Keri Coach Works to make the proper repairs to your damaged vehicle—correctly, and without cutting corners. 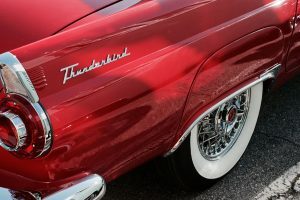 We could probably even take care of that old Thunderbird of yours, and make it really look as good as new.